Each year, approximately 30 high school students participate in the New Canaan Community Foundation's Young Philanthropists Program. Students learn about local community needs, meet and learn from nonprofit leaders, and ultimately decide how to invest grant dollars in their community. 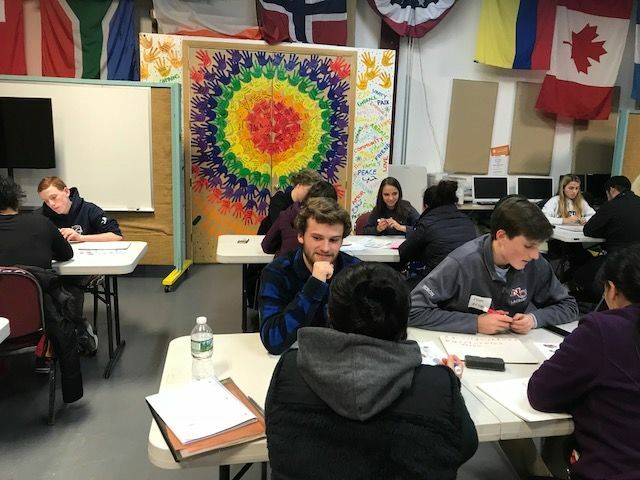 This year's students have set a goal to raise $3,000 during the week of April 8-12, to increase the amount they can award to 5 organizations: Open Doors, Building One Community, Norwalk Community Health Center, the Carver Center, and the New Canaan Parent Support Group. The Foundation will match the first $1,500 raised. New Canaan Community Foundation has partnered with Give Lively to securely process your online donation. This transaction will appear on your credit card statement as "New Canaan Community Foundation". This transaction is subject to Give Lively's Terms and Privacy.